To apply, you need to simply glide the pencil across your eyelids. You can then leave it as that or you have 30 seconds to blend it before it sets, allowing you to have a smokey finish or blend two or more shades together. LOC One and Done Shadow Stick swatches in Champagne Problems (left) and Empress Me (right). The pencils are really creamy so it's almost like they melt onto the eyelids which is nice. When the 30 seconds are up they set well and don't budge very easily, so you do need to be quick with blending if that's your plan. They have really great pigmentation so you don't need to use much to achieve a bold finish which is fab. The thing that I love the most about these One and Done Shadow Sticks though is the longevity. They really do last all day (remember to use a primer for maximum wear time), so they are a great choice for day or night time wear, or even day-to-night wear. The only issue I really have with them is sharpening them. It could be my sharpener, but it works great for other pencils of this size and this is the only product that I've had problems with. You can see in the photos that Champagne Problems, which I have owned longer than Empress Me and has therefore been sharpened, that it just doesn't look as even as a new pencil. It doesn't affect the application of the product though and that is the important part overall. 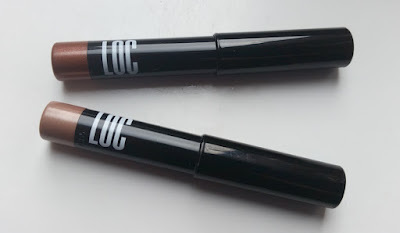 I have noticed though that LOC have released a sharpener for the pencils, so if you have any trouble you could always purchase that to go with your eyeshadows. 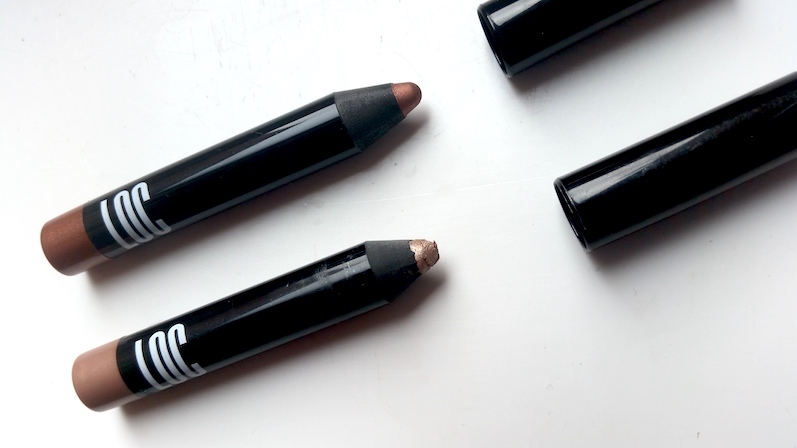 I think that these eyeshadow pencils are also specifically good for people who don't feel very confident applying regular eyeshadow or are more strapped for time and want to achieve a nice finish in limited time. So far, I am really enjoying these One and Done Shadow Sticks. I say so far because there is such a limited range of shades to be able to experience them even further as of yet. 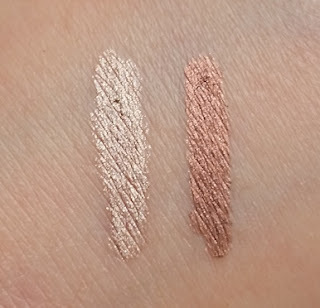 The two shades featured in this review are great because they work well together, but it would be nice to have more of a selection in the future. With that said, I still think that they are well worth a try. I imagine new shades will be en route some time soon and there is nothing wrong with starting a collection of them early. You can purchase the LOC One and Done Shadow Sticks from Birchbox. What are your thoughts on the LOC One and Done Shadow Sticks? Which shade is your favourite?